As Ophthalmologists our primary goals are vision and comfort. Unfortunately, there are diseases or conditions that can occur where we may recommend the eye be removed (enucleated), in order to ensure the comfort of the pet. 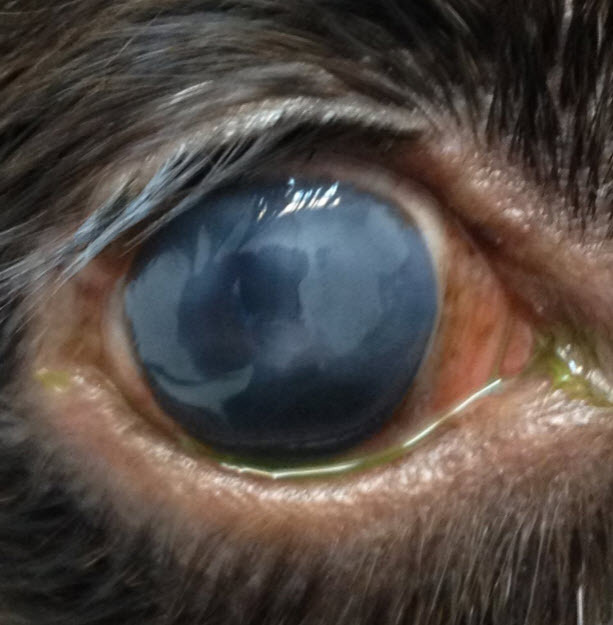 This decision is not made lightly and our trained Ophthalmolgists will talk you through every step of this decision. Although this is not a surgery that requires board certification to be completed, our years of training and experience give us an advantage compared to individuals who do not complete this procedure routinely. In some cases we may offer an intraorbital prosthesis to reduce the sinking of the skin over the orbit. Yet in other cases we may discuss the option of an intraocular prosthesis to make it aesthetically easier for the owner.